New Orleans is legendary as much for a sophisticated cocktail culture as it is famous for Mardi Gras revelry. There are a slew of classic cocktails birthed in the Crescent City that reflect the more elegant and gracious aspects of its rich bartending history. I recently chatted with Robert Peyton, who is a native of New Orleans and a Louisiana-based food writer focusing on that subject. He deferred that in a city of phenomenal bartenders and booze experts, it’s tough to limit the list, but that of the dozens of cocktails originating in New Orleans, four stand out as must-try classics: the Sazerac, Ramos Gin Fizz, Café Brûlot and Vieux Carré. “Along with the Absinthe Frappe,” Peyton says, “these drinks really tell the story of New Orleans” through refined cocktails with plenty of romance and style, but no less sass in the glass. 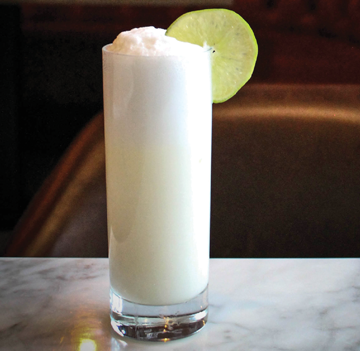 The Louisiana Legislature made this drink the official cocktail of New Orleans with good reason. One of the earliest origin stories of the Sazerac has its roots in the late 1830s, when Antoine Amedie Peychaud, a New Orleans apothecary, made brandy toddies using his proprietary medicinal Peychaud’s bitters. It’s also associated with a now-extinct brandy called Sazerac-de-Forge et Fils. 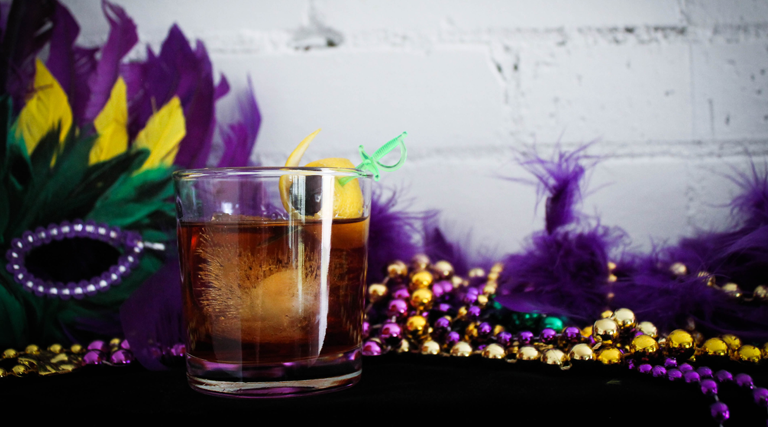 Some early recipes call for cognac, others for bourbon, but NOLA embraced rye whiskey as the Sazerac spirit of choice by the turn of the 20th century. Fill a small old fashioned or coupe glass with crushed ice to chill for serving. To a separate mixing glass add sugar cube and bitters. Muddle with the back of a bar spoon to dissolve the sugar into the bitters. Add a generous handful of ice, the cognac and whiskey. Stir until well chilled. Toss out the ice from the serving glass, add absinthe to the glass and swirl to coat the interior. Strain the drink into the serving glass and finish with lemon zest squeezed skin side down over the drink to express oil. Rub the zest on the rim of the glass, and drop it into the drink. Sometimes this drink is served with a big ice cube. Egg and/or cream-based “fizz” cocktails are famous restoratives and hangover cures. In 1880s New Orleans, Henry C. Ramos’ bar was so popular for the drink that they had a whole crew of cruelly underpaid young barbacks whose only job was to shake each Ramos Gin Fizz assembly-line-style for 12 full minutes. To a shaker without ice, add all ingredients except for the club soda; dry shake vigorously to combine. Add a generous handful of ice to the shaker and continue to shake well for at least a couple of minutes. The longer, the better (you might want to wear thin grippy gloves to prevent frost burn to your fingers). Double-strain through fine mesh into a tall serving glass, top with club soda and very gently stir with a long-handled bar spoon to combine. 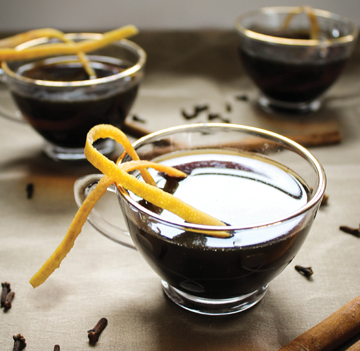 This super boozy coffee-based drink is all about delicious spectacle. It was invented in the 1890s at the historic restaurant Antoine’s and dubbed Café Brûlot Diabolique, or “devilishly burned coffee.” Their method: Servers carve around the entire circumference of an orange to make one long continuous peel, skewer the orange with the peel dangling, and douse the fruit in brandy and orange liqueur. Then, the whole thing is set on fire, and servers continuously ladle the flaming booze combination over the skewered orange, which is held high in the air above a wide bowl of steaming hot coffee and spices. To a heavy 4-quart saucepan add orange curaçao, brandy, cloves, cinnamon sticks, orange and lemon peel. Bring to just barely a simmer over medium-high heat. Using a match or lighter, carefully ignite contents and gently swirl pan until flames die out. Add coffee and sugar; keep stirring over medium-low heat until sugar is dissolved. Strain coffee into small glass mugs or demitasse cups. Garnish with orange zest. 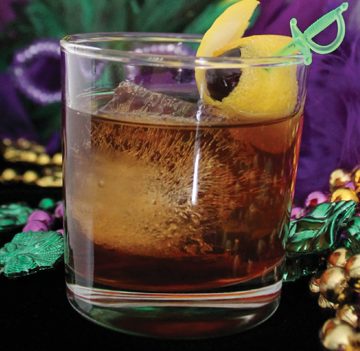 Pronounced “VYOO ka-RAY,” this drink’s name translates from the French as “old square,” a nod to its French Quarter origin at the historic Hotel Monteleone on Royal Street. In 1938, the hotel’s head bartender, Walter Bergeron, created this riff on a Manhattan with some seriously New Orleans flair. 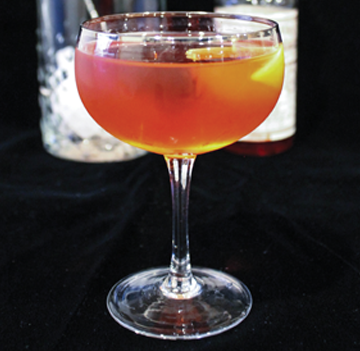 Like a Sazerac, the cocktail adds Peychaud’s bitters and cognac to the rye spirit base, but also requires a touch of the distinctive French herbal liqueur bénédictine. Build directly in a rocks glass by adding all ingredients and stirring briefly with ice. Garnish with a lemon twist. (You’ll alternatively see this drink served “up” like a Manhattan: stir all ingredients well with ice in a mixing glass, strain into a chilled coupe).